Vince Staples has been on the radar of many every since his stand-out feature on Earl Sweatshirt’s ‘epaR’, off Earl’s critically acclaimed self-titled mixtape. Lately many have started to take notice of the young rapper’s skills, including none other than Common who recruited Staples for his latest single ‘Kingdom’. Common not only recruited Staples for a feature, but spoke high praise of the MC and described him as a “testament to the diversity of hip-hop.” And while you may know Vince originally from his associations with Odd Future, he has certainly hit the ground running in the past couple of years. From recruiting production and features on his last two mixtapes from Mac Miller, SchoolBoy Q, Ab-Soul, Earl Sweatshirt, Jhene Aiko, and No-Id up to his most latest work with Common, Vince has released his shortest yet most concrete and quality project yet, his Hell Can Wait EP on Def Jam Records. One of the EP’s best and most personal track’s is the EP’s lead single ‘Blue Suede’. Produced by Marvin “Hagler” Thomas (‘Trophies’), Vince raps over the instrumentals prominent synths while talking about the violence and conditions in some of Southern California’s roughest neighborhoods. “Watch out for Judas, Vice and G-Unit. 5-0 f*cking with the yayo too. L.B.P.D. get sprayed on too. The amount of wordplay and double entendres in this song along showcase the exception lyrical talent of Vince, all while sticking to a serious theme. In the track, Vince takes a real world look at Long Beach and does not sugar coat what goes on by any means. While he doesn’t outright condone or speak out against the violence, he describes vividly what is going on and tells us that “young graves get the bouquets” while hoping that he still outlives those red roses. Vince also puts in his own two cents on the recent and highly publicized cases of police brutality, with his track ‘Hands Up. In the song, Vince talks about the tension between the police and young blacks, and specifically references too young black men from the Los Angeles area who were shot and killed by police. Just a couple they gunned down around the hood. I guess the pigs split wigs for the greater good. Cause I ain’t seen them lock a swine up yet. While a more aggressive take on Ferguson, in comparison to other rappers who have spoke on the subject, Vince ends the No-I.D. produced track (heavy with bass laced on top of a police siren) by arguing that the LAPD, Long Beach Police Department, and LA County Sheriff’s Department are the true killers. The song, like many on the EP, provides another example of Vince’s dedication to rap about real issues and the streets that surround him. Although Vince wasn’t the first to rap about policy brutality his subject matter separates him from a lot of mainstream rapper’s today. One of Hell Can Wait‘s worse track’s weakness is also the EP’s strength. ‘Limos’ contains the project’s only feature, with a chorus and vocals by G.O.O.D. Music’s Teyana Taylor. In total the track seems more like a Teyana Taylor song than a Vince Staples song, and the rest of the EP is all Vince Staples (and all we needed). The track’s oriental sounding instrumental complemented with Taylor’s vocals makes for a great R&B song but did not really fit well with Staple’s style or the rest of the 7-song EP. Although it may sound R&B by its title, ‘Feelin’ the Love’ is also one of the EP’s weaker tracks, solely because of its production which floods out Vince’s rapping with a sonically over-skewed beat that sounds Oddly too similar to Tyler the Creator’s Yonkers. ’65 Hunnid’ and ‘Screen Door’ are also two great tracks on Hell Can Wait, with exceptional production that best fit Staple’s style and content. “You alone, car full of n*ggas, but you alone. It’s time to show how much you love your homies. One n*gga outside, two n*ggas up inside the store. One n*gga gon’ die, the other two can come along. Gloves with the disguise… These n*ggas gotta for this sh*t to survive”, raps Staples on ’65 Hunnid’. Again, staying true to the EP’s theme, of Los Angeles and Long Beach in a blaze of violence. 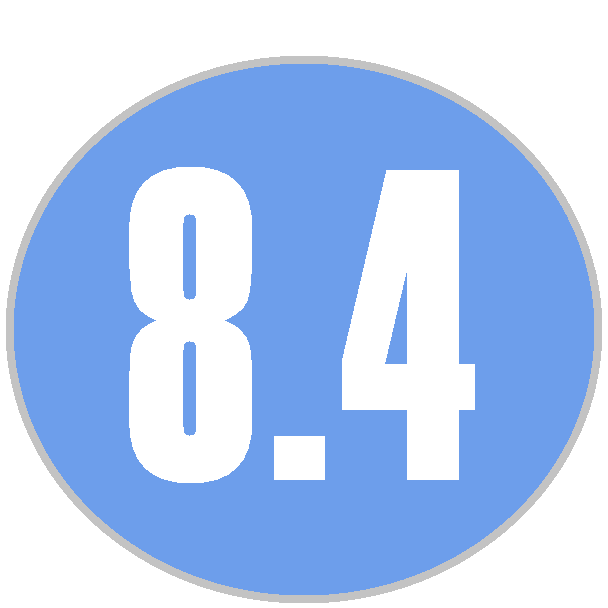 If there is anything else to critique about the EP, it is that we want more. Of course that is the beauty and the curse of an EP, however some of the songs we would love to see more. ‘Fire’, the EP’s opening track is just over two minutes, but starts things off strong. While the other songs average around three and a half minutes, only ‘Screen Door’ comes in over four minutes (which is not too surprising because of no guest verses). With his first commercial release on Death Jam, Vince Staples has proven that he has the makings to be a fixture in hip-hop today and is much more than a few memorable verses. I likely won’t be long until Vince turns the table and is the one putting on up-and-coming rappers by recruiting them for his projects. He may be slowly grasping his mass appeal, but with his major co-signs and deal with Def Jam, that will come naturally. This EP, like many good EP’s, is concrete and mostly consistent in its quality. 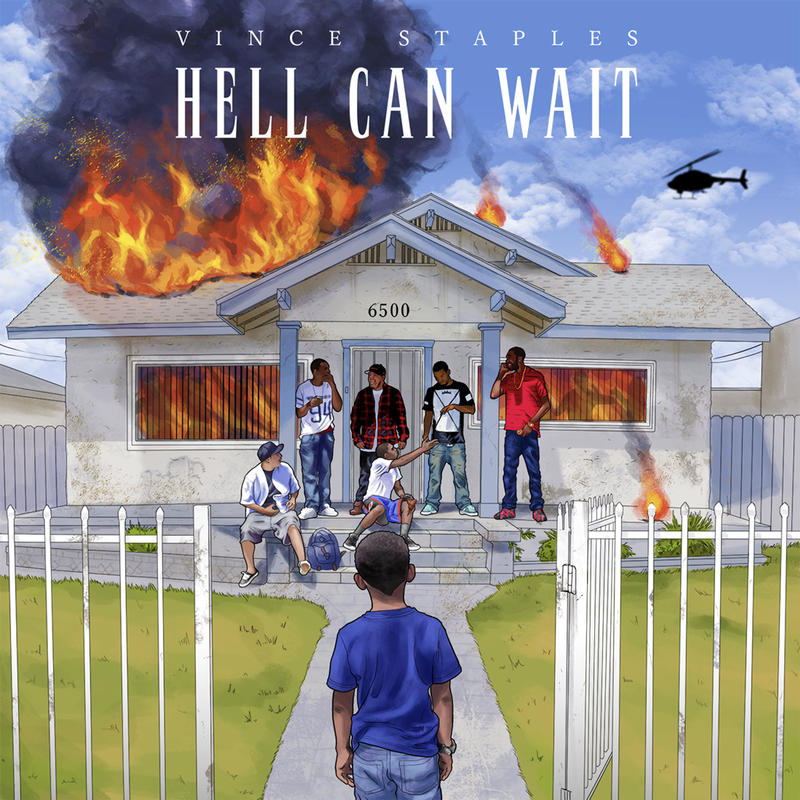 Hell Can Wait, while not a perfect project, is the perfect project to showcase Vince’s story and lyrical ability and gets us excited for what we will hear next. Hell can maybe wait, but I’m not sure if we can wait for some more Vince Staples.